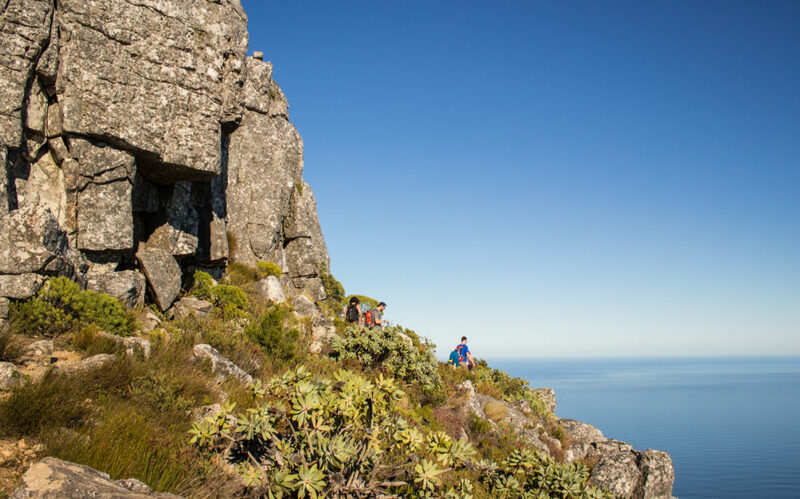 Most visitors to Cape Town looking to climb Table Mountain are recommended Platteklip Gorge. 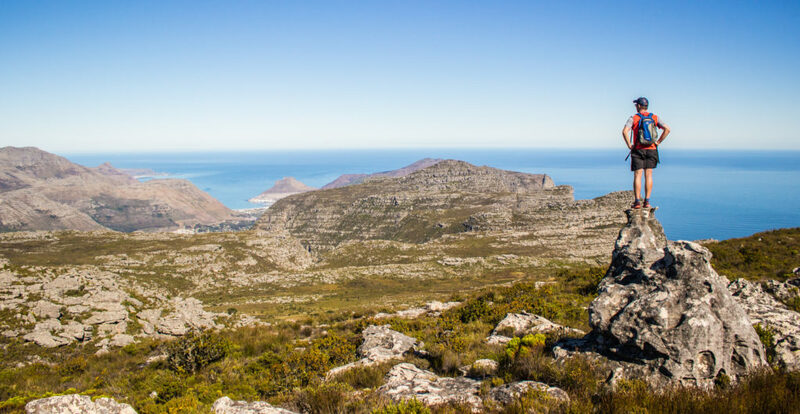 I don’t know why anyone would recommend the plodding repetition of 1,000 steps with no views because that’s essentially what Platteklip Gorge is – a glorified Stairmaster. 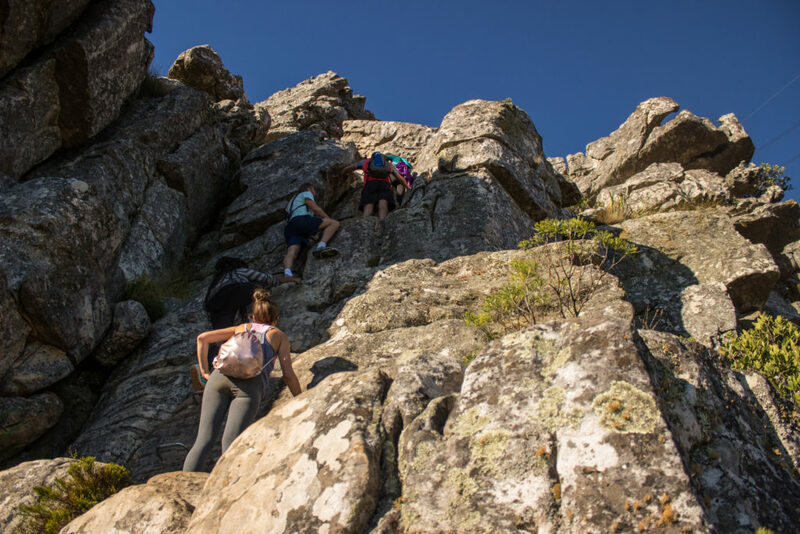 There are, however, some really exciting alternatives nearby that offer unreal views and some fun, but not too challenging, climbing. India Venster is my favourite of the lot. 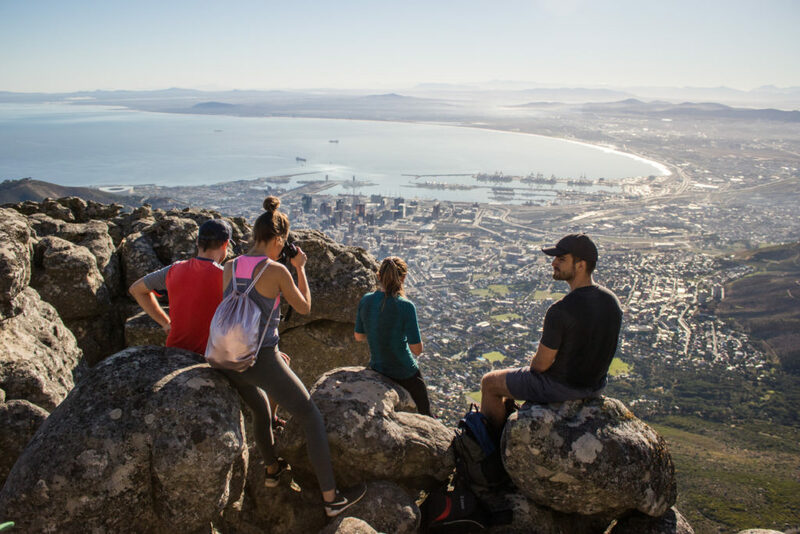 It’s accessible, has a little bit of climbing up ladders and chains, and views of the city as well as Camps Bay’s coastline. The start of the hike lies to the right of the cableway station. The hike zig-zags under the cableway for most of the way and takes about two hours. The first ten minutes of the hike are the toughest. Every time I go in a group we start too fast and are left gasping for air before we’ve even gone anywhere. Try to take it relatively slow until you reach the intersection with the contour path. You’ll hit the contour path after 10 or 15 minutes and see a sign for India Venster and a path that goes straight up the mountain. Take it. After about half an hour you’ll start to get great views of the city bowl and bay. Here we can see Lion’s Head, Robben Island and far up the west coast. 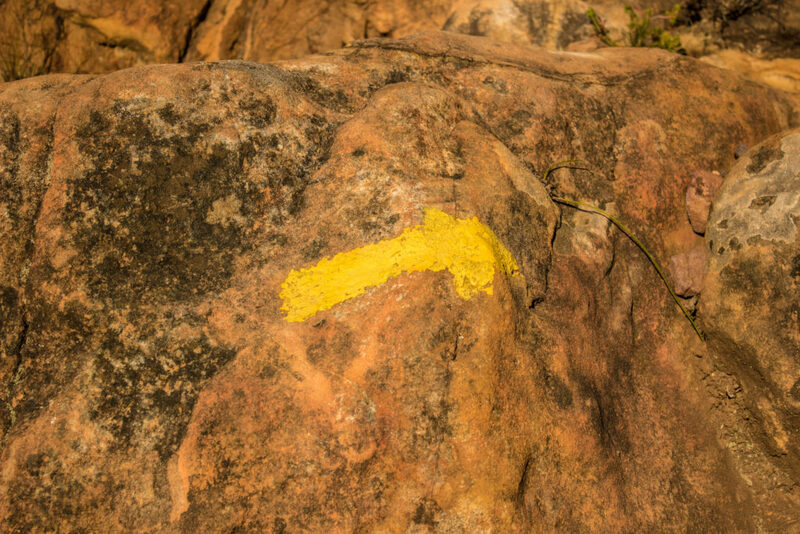 There are yellow footprints and arrows marking the way, so if you ever feel like you’re losing the path simply cast your eye out for the markings and they should be somewhere near to help direct you. 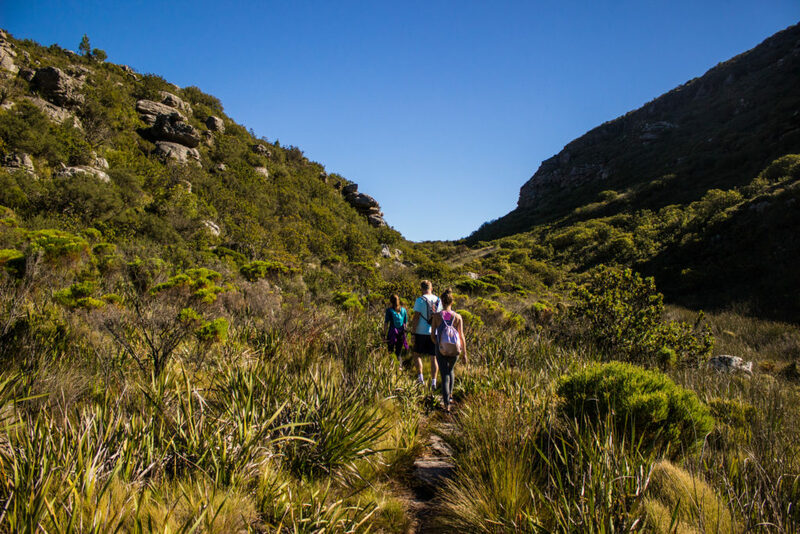 The path is fairly simple and easy to follow all the way up to the top of Table Mountain. About an hour up you’ll reach the section of chains and ladders. It is a small section and not too daunting. 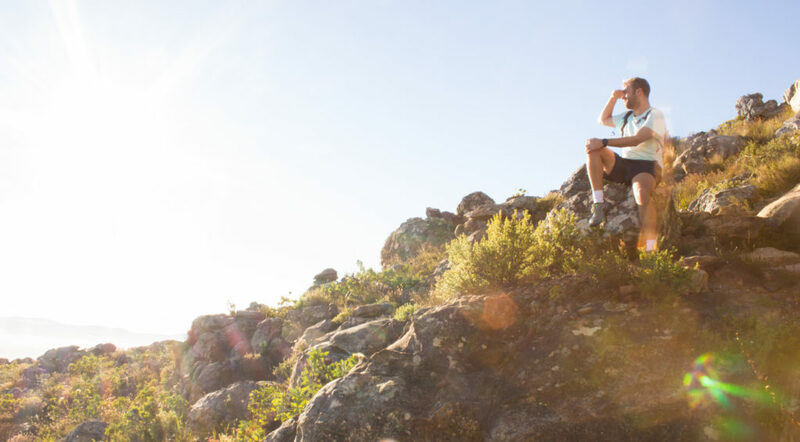 After a few minutes you’ll be out the other side so take your time and enjoy the climb. 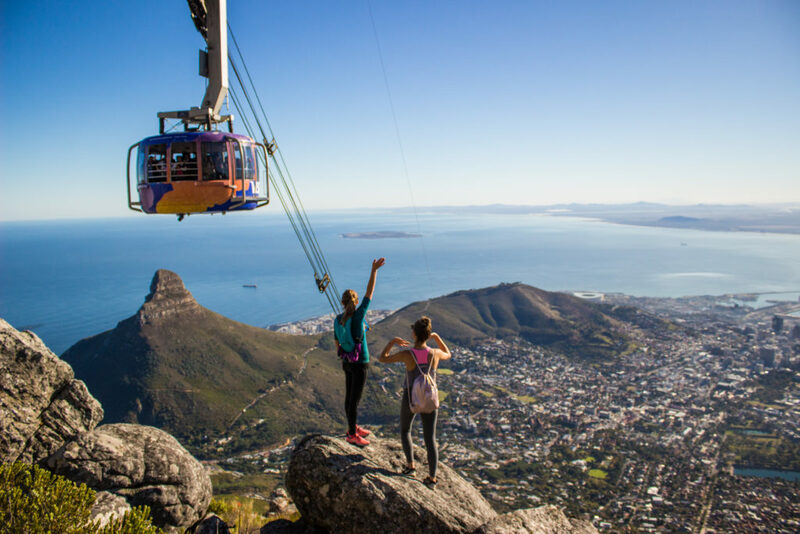 You’ll pop out not too far below the cableway station at the top of Table Mountain. It’s not a bad spot to have a quick rest and snack. We had chatted about the Himalayan goats on Table Mountain at the start of the hike and then spotted a big herd with six babies below us. The binoculars turned out to be very useful. For R100 you can take the 5-minute ride up in the cable car, but our route seemed far more enjoyable than a metal box. There is a sheer cliff below the cable station that we saw some rock climbers preparing to climb up. 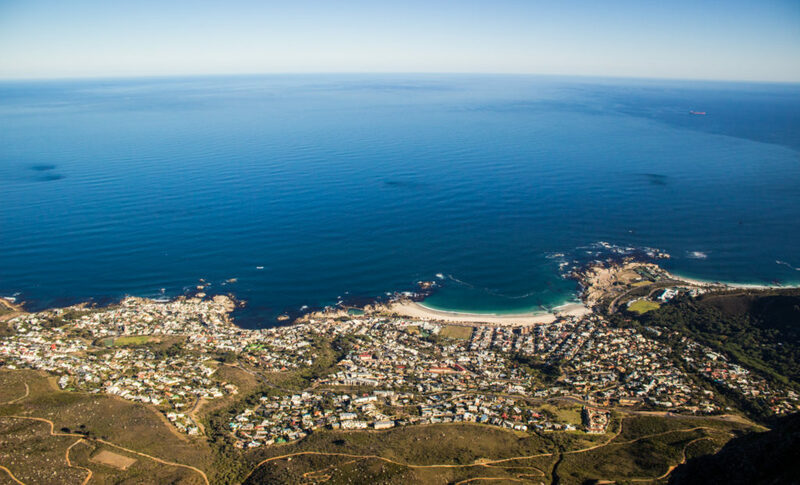 For us, however, the path snakes around to the right taking us into the shade and granting us amazing views of Camps Bay and Clifton’s string of lovely beaches. It was another perfect day in the Cape, with still water and clear skies. Camps Bay beach far below looked very inviting and a good place to visit after the hike. 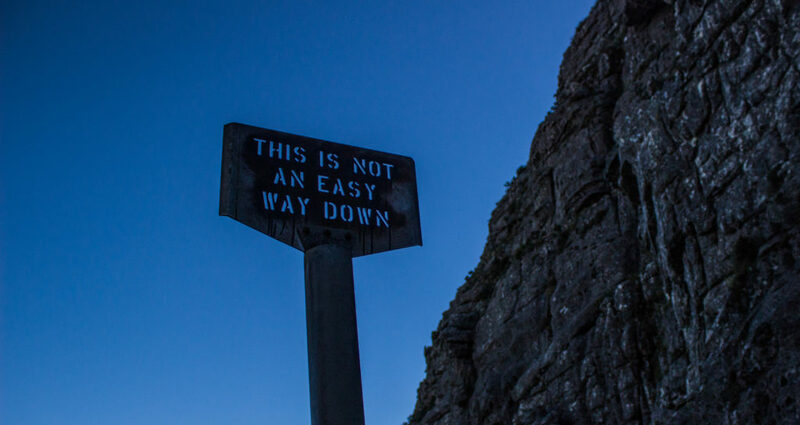 Due to the steep nature of the hike and the challenging terrain, it is recommended to not go down the same route. There are many other ways to get down the mountain. The fastest way, and kindest to your knees, is to take the cable car down. 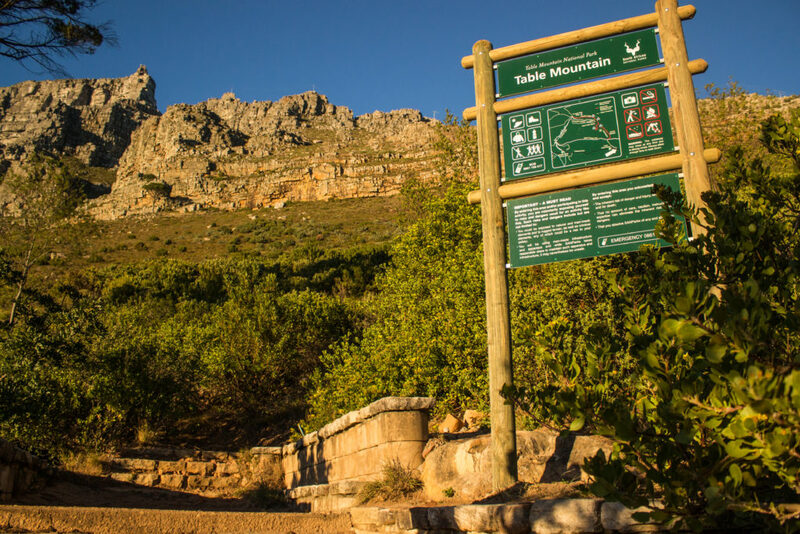 Platteklip is also a good option as you will come down not too far from your car on Tafelberg Road. But if you have more time, Kasteelpoort is a great choice. 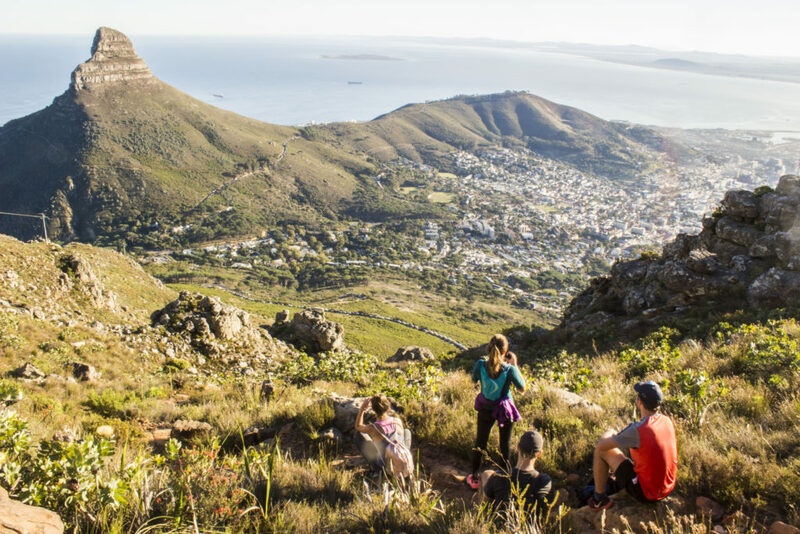 It involves another hour walk on top of the mountain (but that’s the best part), and then taking a ravine down into Camps Bay and walking back along the Pipe Track. That’s the route we took. 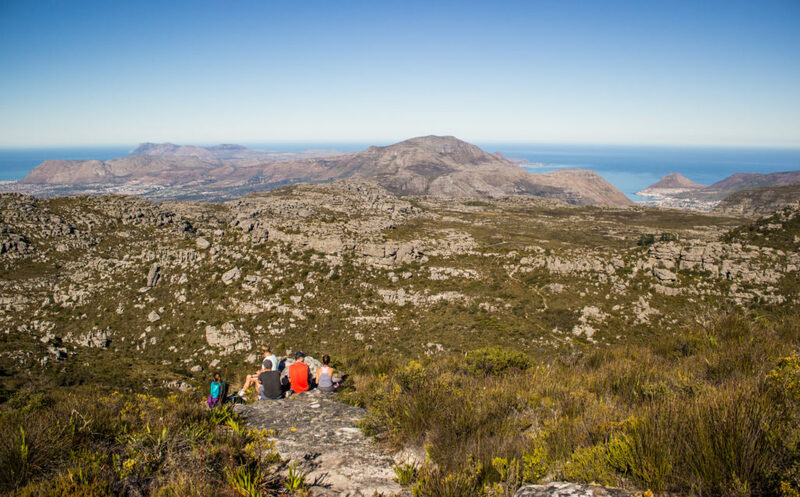 Altogether, it’s probably two hours longer than taking the Platteklip route. After a leisurely climb up, we reached the top after two hours. Now we had time and space to explore this natural wonder. 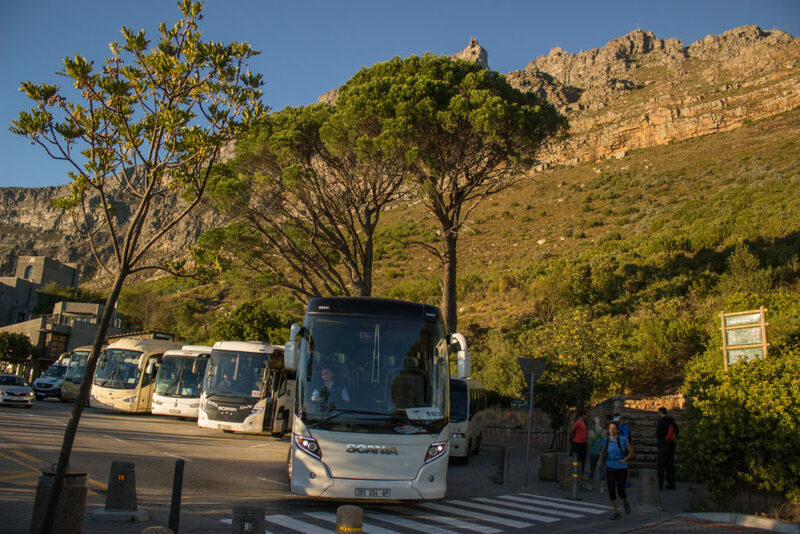 We saw large proteas, collections of bizarre rocks, panoramic views of the Cape Peninsula and even discovered a large cave. We had lunch with a great view of Hout Bay harbour, Constantiaberg, the Southern Suburbs and False Bay. In the early winter sun, we relaxed and savoured the peace above our bustling city. The strange rocks make for great photo ops. 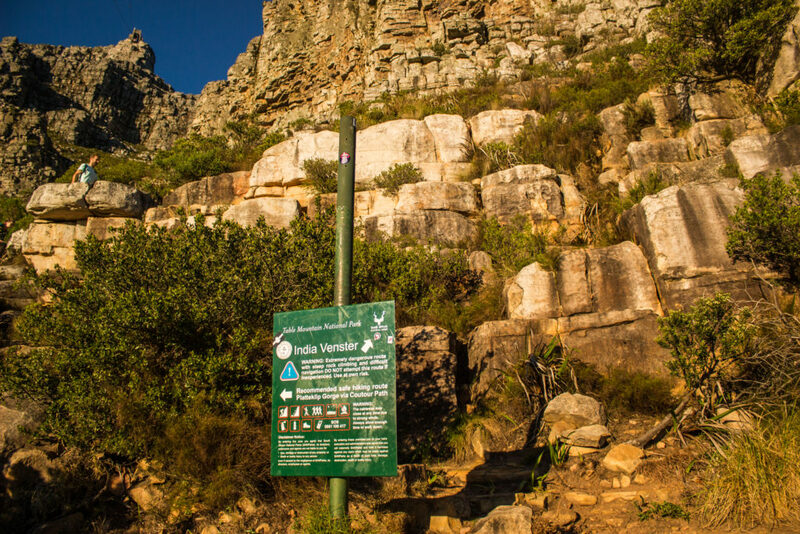 You can’t really get lost up on Table Mountain as the paths are well-marked and easy to follow. 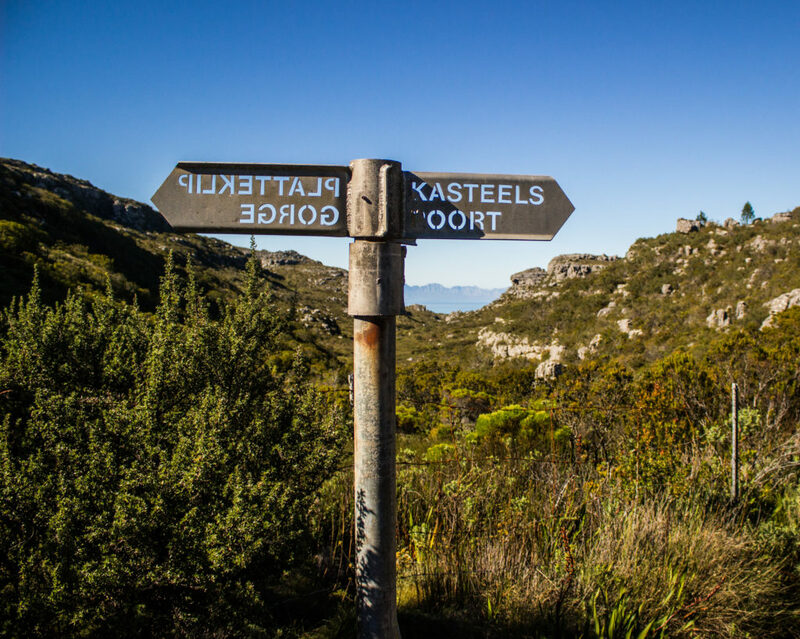 We took Echo Valley and the path through The Valley of Red Gods to reach the top of Kasteelpoort and our path down. The route down is a little steep but very manageable. It has amazing views of the Atlantic Seaboard and the top is under shade for the first half of the day. We reached the bottom after six hours and decided to skip the last half hour along the pipe track and catch an Uber back to our car. We felt like we deserved it. 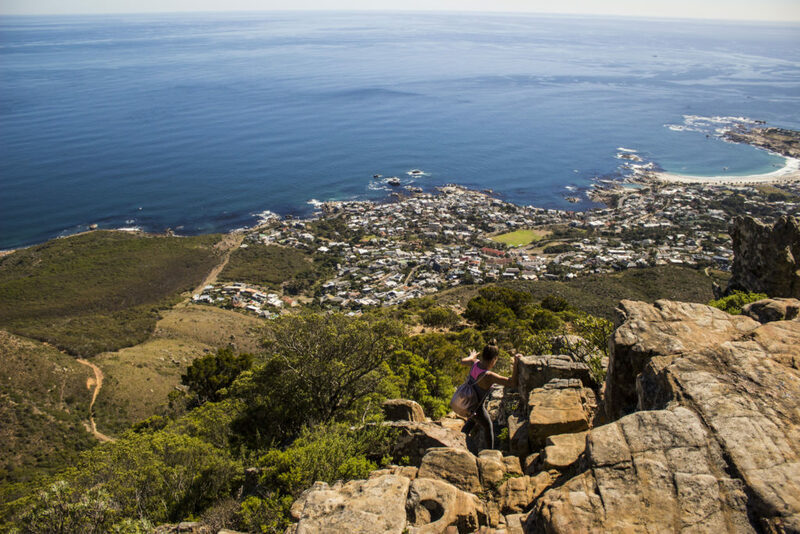 India Venster is a fantastic day hike from Cape Town as it has a bit of everything; some climbing, some exploring and great views all the way. 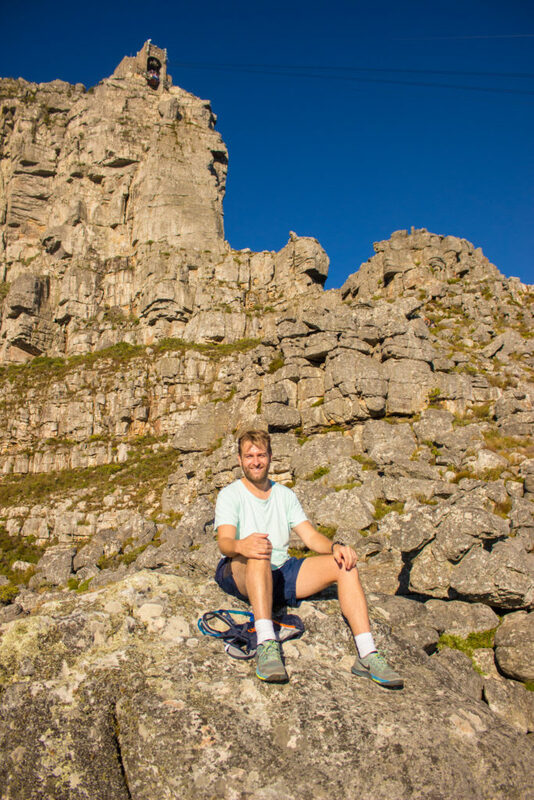 If you’re looking to hike up to Table Mountain then I can’t recommend this particular route enough.